Gone the days when people used to talk through the radios to their relatives from other cities or getting the continuous feedback from the workers working in mines. 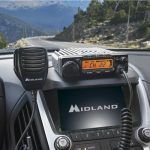 With new smartphones and other gadgets launching every day, the sound of the CB radio is rarely heard from the households. However, in today’s era of faster and compact technology, very few CB radios are left in the market. And tell you what, Galaxy DX 2547 is one of them. 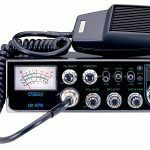 While many manufacturers are emphasizing on mobile radios, DX 2547 is the only CB radio still widely sold across United States in today’s era. 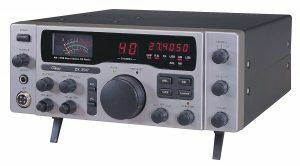 With the look similar to those of older ham radios, this AM & SSB CB radio is set with the new features like talkback, roger beep and six-digit frequency counter. The CB radio comes with the built in power supply and the regulator. What most of us will love the most about this CB is ease of use and it can be operated on both AC and DC signals. 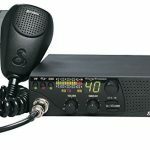 DX 2547 CB radio is widely used by the truck drivers at their base stations and in vehicles. You won’t see any of it’s users not recommending this stylish CB. Coming with two years warranty along with other splendid features, this is one of the best CB Radio any truck driver can think of. 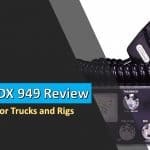 Nowadays, Galaxy is the only brand that manufactures the base CB radios, so let’s see what features they provide with their widely used CB radio. The Galaxy DX CB helps people to connect with their friends and family all over the country with its strong transmission and receiving signal quality. I have seen mine owners using it in their mines to contact their labors and to know the current situation in the field. This AM/SSB radio comes with six-digit frequency display and many other controls including Galaxy Noise Filter, talkback control, six-digit frequency display shows various tuned-in frequencies so the user need not use buttons or menu to look for the transmitting and receiving signals. 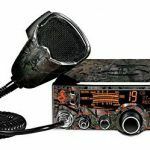 The CB radio enjoys great reviews from both fresh and expert users. Some users paired it with Antron 99 and imax 2000 and the radio is working just fine. You will hear the delightment from the 2547 users if you inquireabout the quality. The brand has provided great power and sound in DX 2547 CB radio. The manufacturer has successfully maintained the good support and customer service. So if you by chance receive a faulty CB radio or antenna, you need not worry. You can easily get the replacement. Thanks to the great support from the Galaxy. Like old times, some used the Galaxy DX to talk to their friends and relatives all over the country with the help of CB base antenna. Mine owners are having the great results by using the DX CB radio in their mines. With active ANL and NB and the tone control set low, the radio eliminated all the noise making it easy on the ears, which is an advantage in a home environment. While many are happy with their purchases of Galaxy DX, few found some downsides of this CB radio. According to them, DX 2547 is not ideal for sideband. The radio needs to warm up before turning it on sideband. This might take a lot of time. The noise filter of DX CB radio muffles the incoming modulation as they are mounted on the radio itself. There also is a slight drift in frequency whenever the radio is overheated which happens to be in every 15-20 minutes, but the drift is very less due to built-in power supply and the regulator. 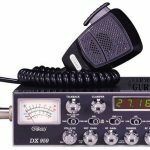 So till now, we are good with the features and the overall reviews of the Galaxy DX AM/SSB CB radio. Moreover, I am sure that many of you have already decided to buy this well built and feature rich bass CB radio. I even found some reviews from Europe commenting, they are happy that Galaxy 2547 AM/SSB CB radio are finally available in Europe. But the availability of for DX 2547 with added FM features is yet to reach their countries. However, if you still have some doubts, here are some advantages of the Galaxy DX 2547 that may help you in your purchase. As every product has its downside, Galaxy DX too have few exception to this. Though Galaxy DX is not as alluring in style, I will suggest its one of the best CB radio if you’re looking for customization. With the auto noise controls, LED talkback circuit and AM/SSB modes, this CB radio is a perfect choice with its great audio reports and equally good output. In addition, the CB radio is good to use at home as well as in travel. It means the CB radio is all set to save your money and hassle of buying two different radios for different usages. I love my DX 2547. I bought it new in 20117. A few months after I bought it, the frequency counter quit. I contacted Galaxy and they told me that the radio I bought was assembled in 2014. Because of that, the manufacturer’s warranty had lapsed. 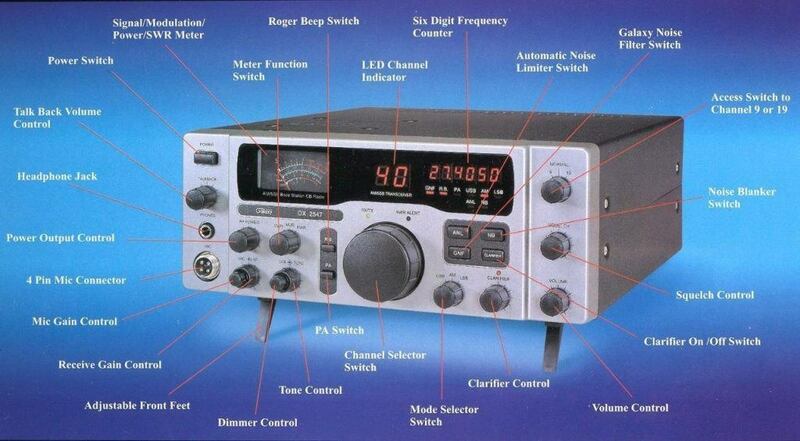 It’s really the only base station CB radio that is still being manufactured. I’ll definitely buy another DX 2547 and/or DX 2517. I have access to all the other amateur radio bands with my Yaesu FT-901, I want a base station CB with SSB for good measure.